There’s also plenty to do in Raleigh! Downtown Raleigh celebrates just about every weekend with festivals, food truck rodeos, or live entertainment. Local colleges like North Carolina State University host some of the best sporting events in the Triangle. And Raleigh’s shopping centers, golf courses, parks, and preserves are always popular destinations. Thinking about buying a home in Raleigh? Take you pick of high-rise condominiums downtown, luxury homes in North Raleigh, 20th-century homes in Raleigh’s historic neighborhoods, and a plethora of single-family homes and townhomes in communities throughout the city. There are even 55+ communities that allow residents to take advantage of all of Raleigh’s world-class amenities. No wonder Raleigh is such a wonderful place to live! Raleigh’s neighborhoods offer something for every lifestyle! Here, you’ll find country club communities, historic neighborhoods, 55+ communities, master-planned developments, condominium buildings, and even intimate luxury enclaves. 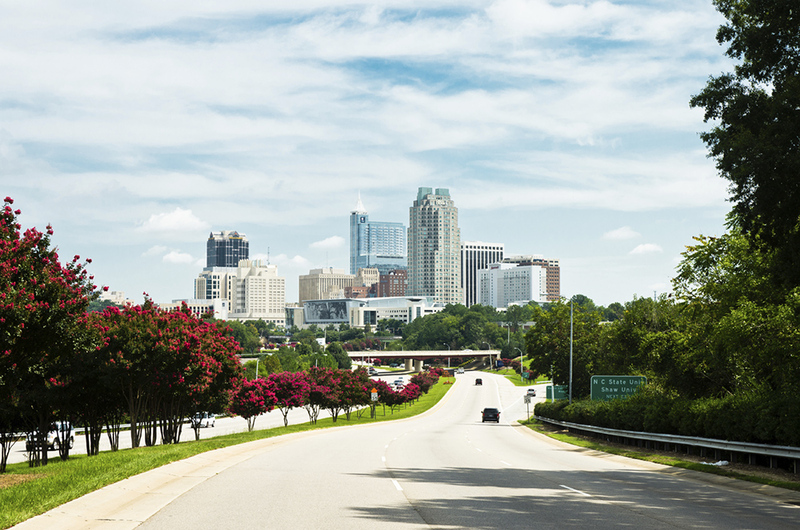 Science, technology, finance, education, and hospitality drive Raleigh’s local economy. Among the city’s major employers are Red Hat, Duke Energy, PNC Bank, WakeMed, and North Carolina State University, just to name a few. Hospital systems like WakeMed and Rex Healthcare serve the Raleigh area and are among the best in the Triangle. US News & World Report even named WakeMed’s Raleigh hospital as the #11 hospital in North Carolina!